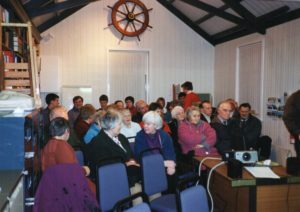 Colour photograph of the audience during a lecture in An Iodhlann given by the School of Scottish Studies around 2000. Among the audience are Iain MacKinnon, Flora MacPhail, George Campbell, Janet MacIntosh, Lachie MacKinnon, Duncan Grant. 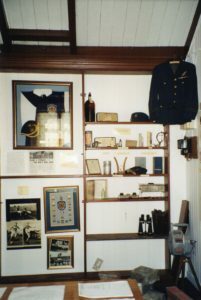 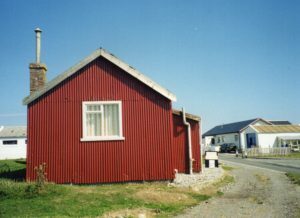 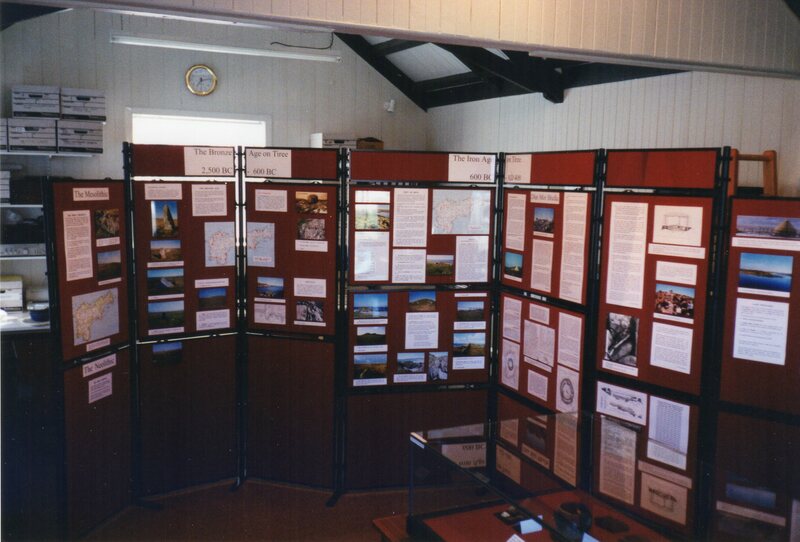 Colour photograph of An Iodhlann’s second exhibition, around 2000. 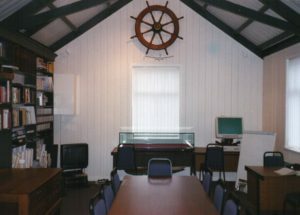 Colour photograph of the interior of An Iodhlann after its first renovation. 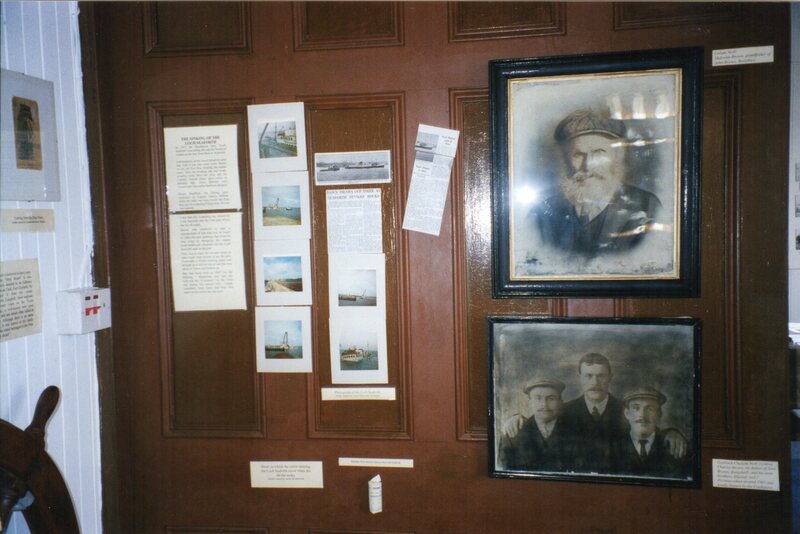 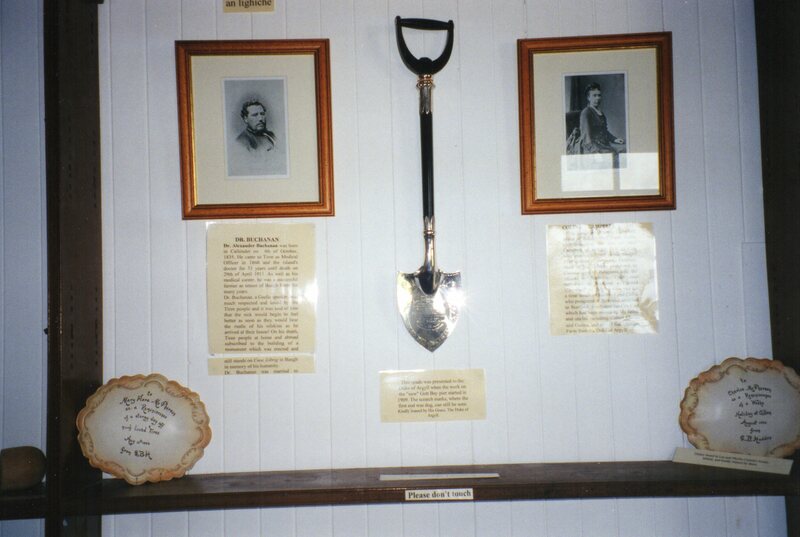 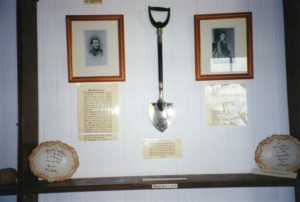 Colour photograph of the one of the panels of the first exhibition at An Iodhlann, shortly after its purchase by the Tiree & Coll Gaelic Partnership in 1997.